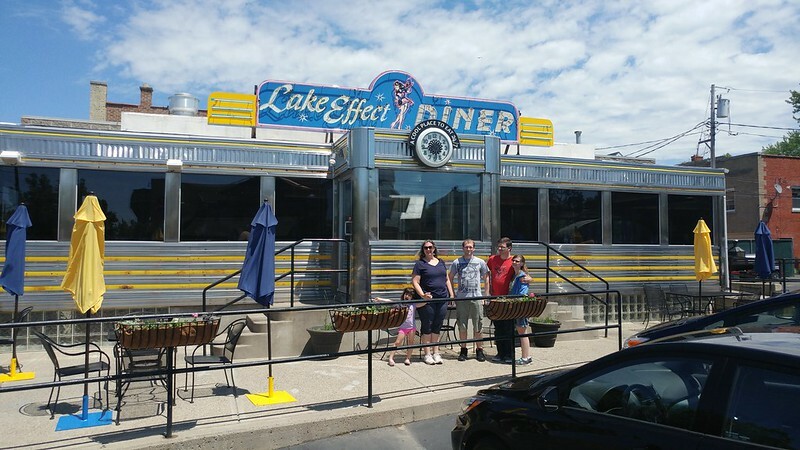 The Lake Effect diner is a fifties-era dining car-style diner located in Buffalo. 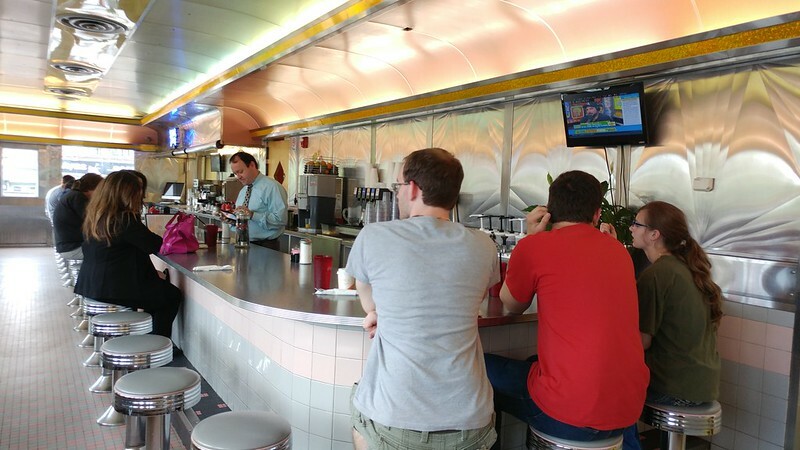 The diner is a circa 1952 Mountain View Diner Vin. #446. It was saved from demolition and moved from Wayne, Pennsylvania, to Buffalo in 2001. It was restored and equipped with a modern state of the art kitchen. Their menu has a focus on meats, fruits and vegetables from Western New York's farms. They make their own homemade breads. The manager was very welcoming and conscientious, and very attentive to each of his customers. The portion sizes, especially for those seated at tables around us, appeared to be quite large. Unfortunately, the prices were also quite large. 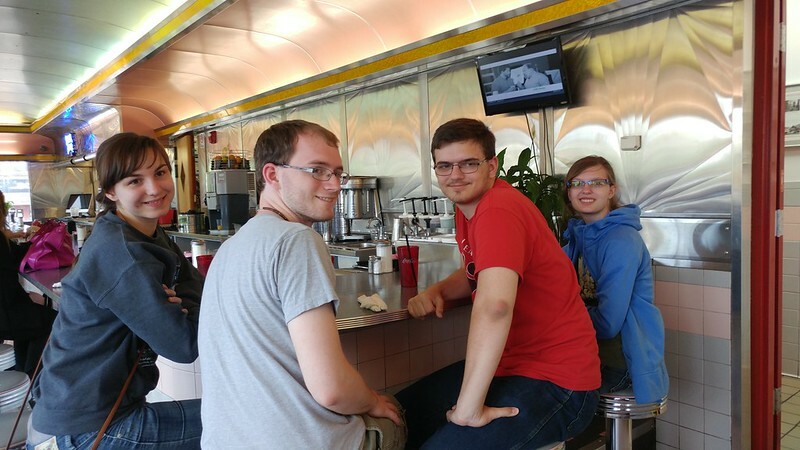 But the food also tasted good, so it was worth the visit. 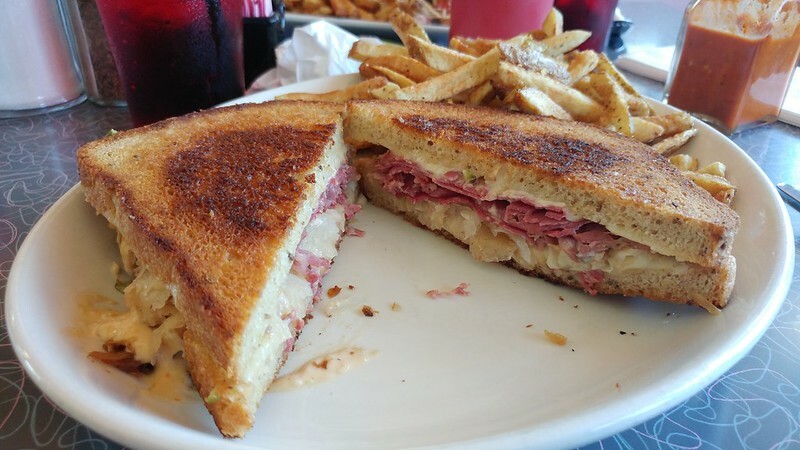 Our party of 8 ordered 6 Reuben sandwiches in total. The bread was toasted and quite firm, and the dressing was some sort of homemade concoction that tasted quite a bit like mayonnaise.